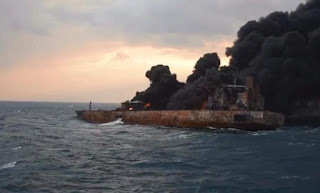 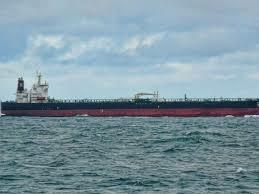 An oil tanker with 22 Indian crew members on board went missing off the coast of Benin in West Africa, according to a statement issued by India's Ministry of External Affairs. 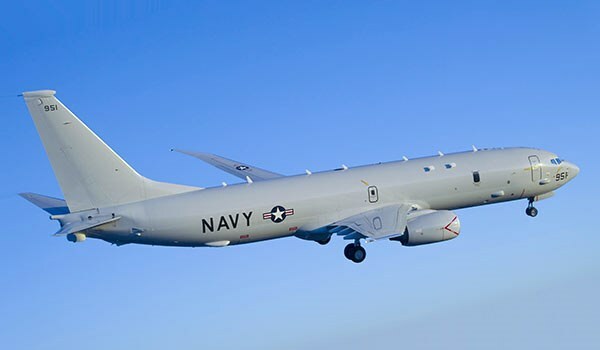 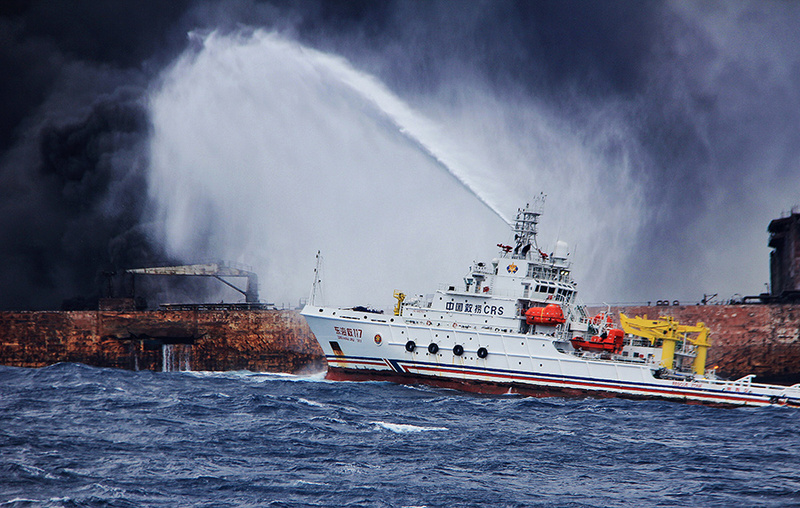 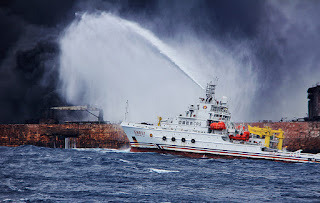 The US Navy has joined the rescue operation searching for the crew members of vessels that collided off China's eastern coast on Saturday, the navy's press service said in a press release on Monday. 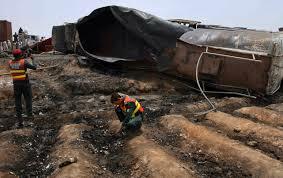 The death toll in Pakistan's gasoline tanker fire has risen to almost 200 as some more victims of the incident succumbed to burn wounds on Thursday. 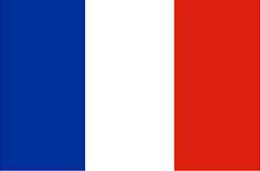 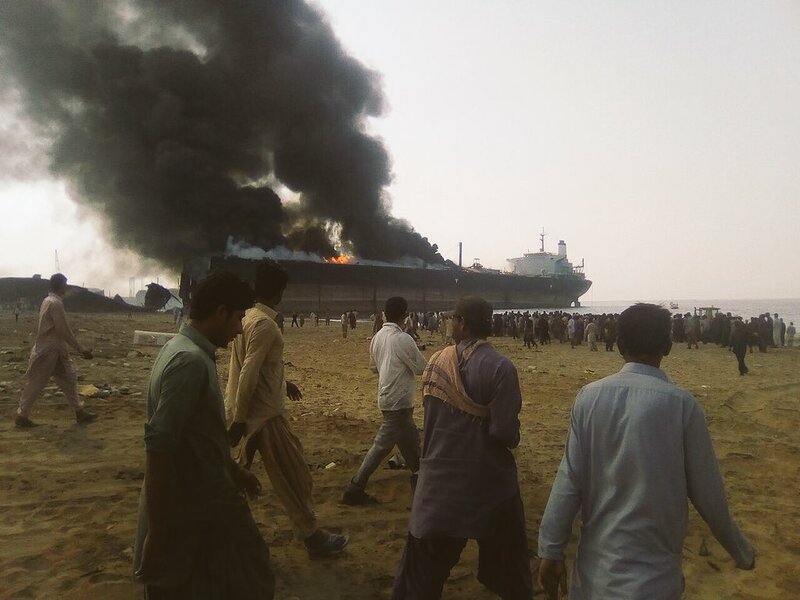 Multiple explosions on an oil tanker being dismantled Tuesday in western Pakistan have left at least 10 people dead and injured 54, while some 25 are still trapped, an official told EFE.